This Combo is to be used with 3S Lipo battery pack. 1. 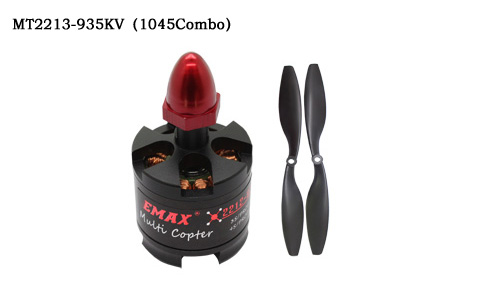 Motor and propeller combo for use in multi copters such as tri, quad, hex and octo, with the ability of transient response and stability. 3. With prop adapter which is specially made to adjust the rotation of CW (clowckwise) and CCW (counter-clockwise) propellers.